“Continued training, certifications and skills development is a major priority for us,” said Jeff Bickart, Director of Operations at FayeBSG. 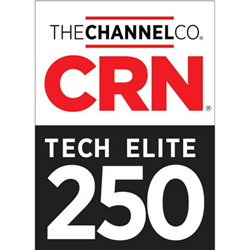 SugarCRM Elite Partner Faye Business Systems Group announced today that CRN®, a brand of The Channel Company, has named FayeBSG to its 2019 Tech Elite 250 list. This annual list honors a select group of North American IT solution providers that have earned the highest number of advanced technical certifications from leading technology suppliers, scaled to their company size. These companies have distinguished themselves with multiple, top-level IT certifications, specializations, and partner program designations from the industry’s most prestigious technology providers. Faye Business Systems Group is a technology consulting and software company that helps companies grow by working with them to implement, customize and integrate innovative and effective financial and business systems. As the SugarCRM Global Partner of the Year in 2018 and a long time SugarCRM Elite Partner, FayeBSG is known for their Sugar integrations with Ytel, Sage 100, Quickbooks, Intacct, Constant Contact, Authorize.Net, Box, Jira, and more. Faye Business Systems Group is a technology consulting and software company that helps companies grow by working with them to implement, customize and integrate innovative and effective financial and business systems. In addition to being named the SugarCRM Global Reseller of the Year in 2018, FayeBSG is also a leading partner with Ytel, Sage, Salesfusion, Monday.com, and a variety of custom software solutions. FayeBSG is known for their SugarCRM integrations with Ytel, Sage 100, Quickbooks, Intacct, Constant Contact, Authorize.Net, Box, Jira, and more. Services include project management, software implementations, consulting, training, custom development, and support. Specializing in software implementations that span various industries, FayeBSG has successfully customized CRM platforms for a variety of mid-market businesses.